Create Viral Video Contests where visitors can share their video entry for your fans to vote on! Multiple options are available including options to limit votes to one time, once daily or setting a specific number of times a user can vote per contest. 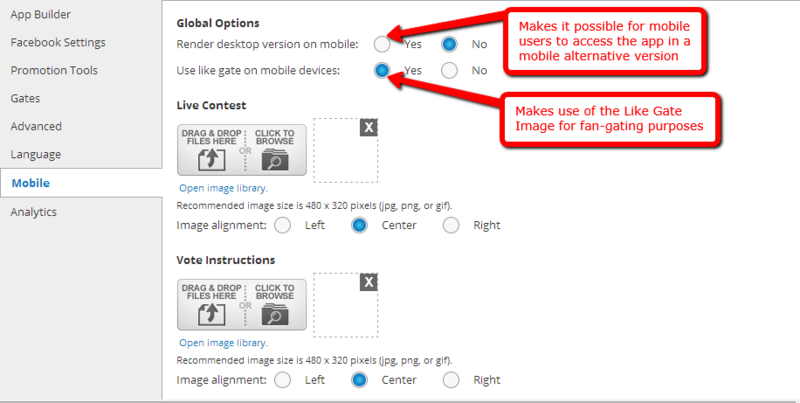 Select this option to begin creating a photo entry contest. YouTube and Vimeo videos are supported. You will then be forwarded to the App Builder page. 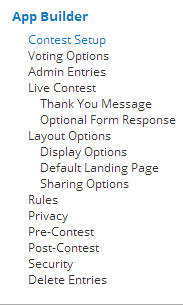 This section includes numerous sub-sections specifically Contest Setup, Voting Options, Admin Entries, Live Contest, Layout Options, Rules, Privacy, Pre-Contest, Post-Contest, Security and Delete Entries. The Contest Setup is the first sub-setting of App Builder. You are asked to enter your preferred Contest title. This title is privately displayed and for internal use only. Furthermore, you can add email submissions to users you would like to alert concerning the contest. 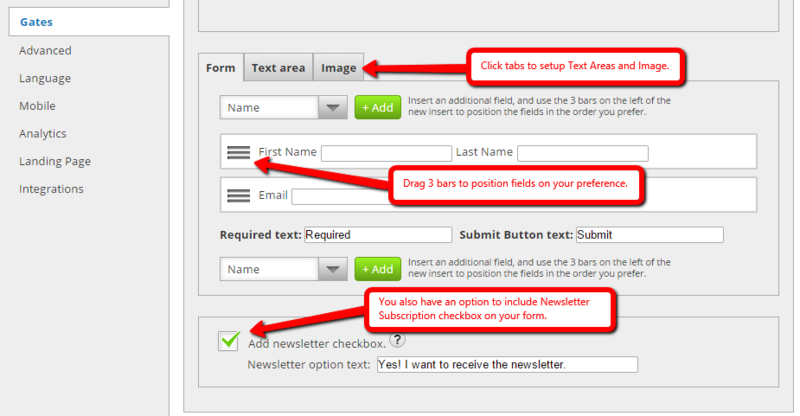 Conversely, the Enable email check button enables you to obtain an email of each offered entry. It is suggested to uncheck this option if you don’t want your email to be flooded by thousands of entries entering in. Note: Legacy Gold users will need to make certain they have access to winners by making the Entry Form Fields and choosing the “Admin Display” checkbox. Premium app users will have access to participant details with the use of the Exporter link on the left in the TabSite Manager at all times. The checkbox called “Entries do not go live on page until page admin approves each” is offered at the Premium app level and receives entries to be tested by the TabSite Admin before it becomes live on the fan page. The last selection is the Two-Stage Voting. This selection enables you to operate a general contest open for all to vote on and then to operate a finalist voting round to find out a final winner. Finalists would be determined by the amount of votes in the early stage one voting, and you can adjust the number of finalists for the stage two voting. Simply tick the checkbox to allow this feature, then adjust the number of finalists you want to have in the last stage. The text box that displays is the text that will be displayed at the top of the stage two voting page to notify users that these are the participants. Under “Contest Setup”, you will adjust the dates for the beginning of stage one voting and the end of the contest in general; then, adjust the start date of stage two to fall amid the other two dates. 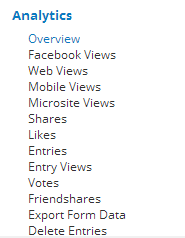 There is also a setting called Gates where it serves as checking tool for users visiting the fan page. The Advanced setting is the fifth one on the list. You can upload an 810 x 75 pixels header image for your app in this section. Your link color, text color and background color can also be customized in this section. 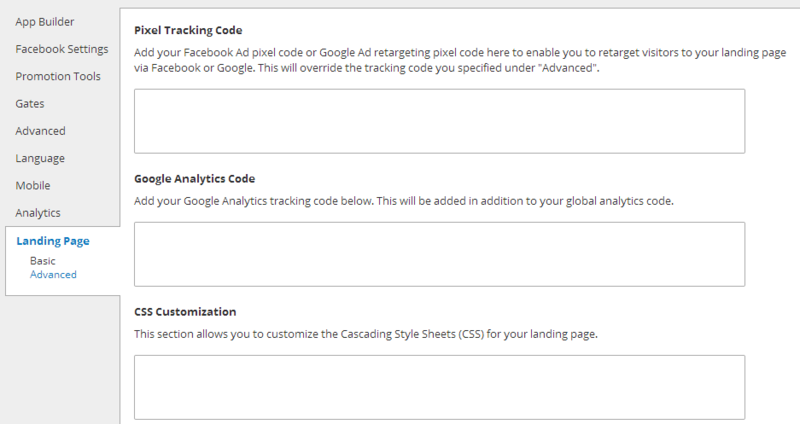 The setting has already provided the default styles for customizing the CSS associated with your app.